Nintendo is still updating Miitomo, even though the conversation seems to have moved on. 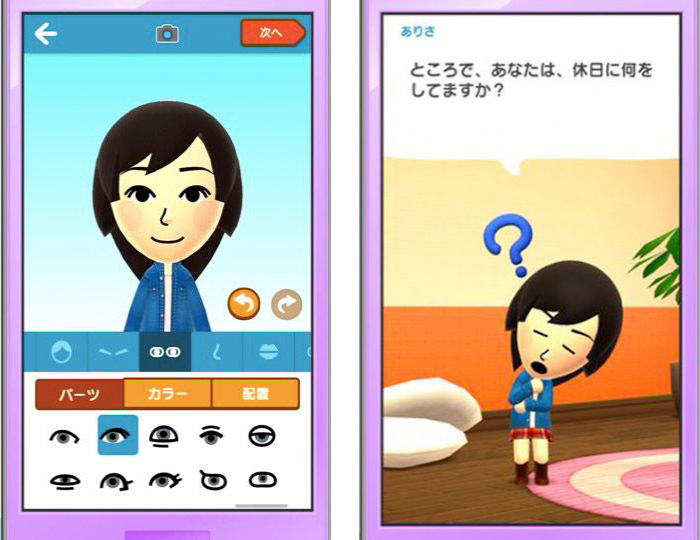 Remember Miitomo, Nintendo's first foray into the world of mobile development? Well, Nintendo hasn't forgotten it. Today, the company announced a new update for Miitomo, adding features like room customization and private messaging. "With its focus on fun and social interactions, Miitomo was the ideal app to signal Nintendo's entry into the smart-device space," said Nintendo of America senior vice president of sales Doug Bowser. "This free update gives users even more ways to have fun with their friends." Private messages: After downloading the update, users can send private messages to anyone on their friends list. But these messages just don't pop up in a boring old window. Users can set the expression of their Mii, and either a user's main Mii character or a Sidekick Mii (more on that later!) will personally deliver the in-app message to the friend. Room customization: Rooms can be decorated with custom flooring and wallpaper, which can both be collected for free in the in-app Miitomo Drop game or by completing in-app actions. Some of the wallpaper is even inspired by some of Nintendo's hottest franchises like Super Mario, The Legend of Zelda and Metroid. Rooms can also be decorated with posters adorned with Miifoto images or even real-life photos contained on the user's smart device. Each room can hold up to eight posters. Each poster spot holds one poster and can be purchased individually for 99 cents from the in-game store. Style Central: Dressing up in awesome outfits in Miitomo is a big part of the fun. With the new Style Central feature, users can submit up to three of their favorite custom outfits a day to share with other users. These other users can browse the submitted outfits to like them or try them on, and even purchase components without having to visit the in-game shop. By sharing outfits, users receive My Nintendo points that can be redeemed for fun Nintendo rewards. In the meantime, Super Mario Run is still scheduled for release on iOS some time in December, with rumors out there of a potential Nintendo Switch release. Tagged with iPhones,	miitomo,	News,	Nintendo.